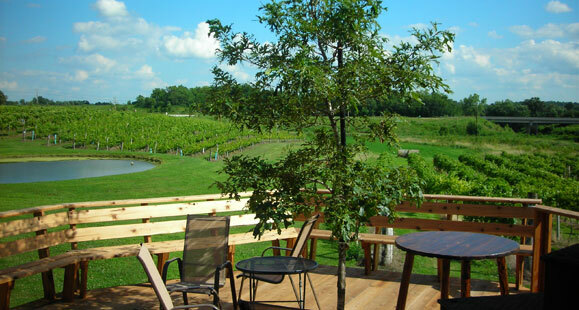 Cedar Valley Winery is the premier location for outdoor weddings in Fairfield, Iowa. 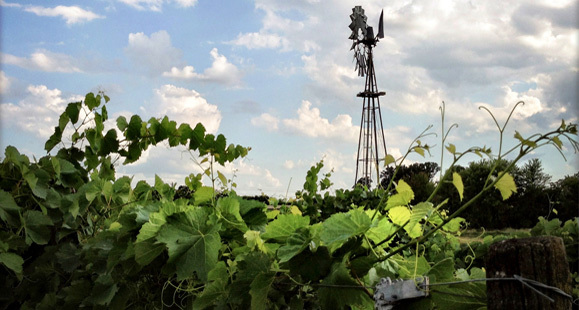 Our beautiful vineyard setting offers endless photographic opportunities. The staff at Cedar Valley Winery stands ready to provide you with exceptional service to help reduce the stress of planning your special day. 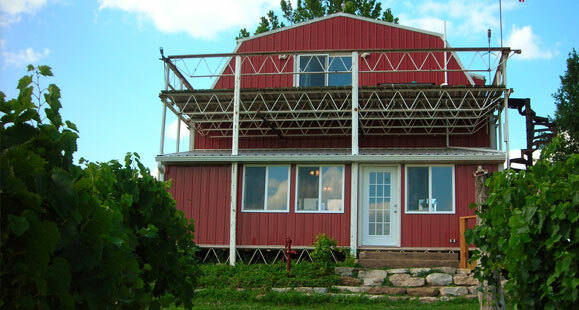 Cedar Valley Winery offers a unique alternative to hotels, restaurants and country club venues. It would be our pleasure and honor to have you choose Cedar Valley Winery for your special day. If you have any questions, or if you would like to schedule an appointment to view the wedding and reception accommodations at Cedar Valley Winery, please feel free to call us at 641-662-2800. Also, please feel free to request further information by emailing us at info@cedarvalleywine.com. Please click here to view our wedding contract. 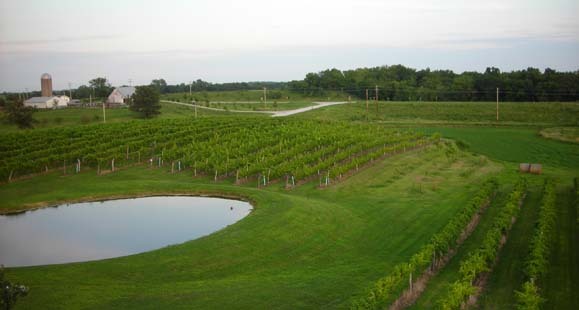 Cedar Valley Winery is situated on a six acre vineyard in Batavia, Iowa. 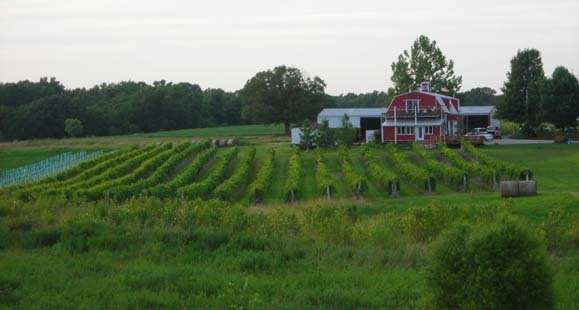 The vineyard and winery are close to various hotels in the Fairfield and Ottumwa area, making Cedar Valley Winery an excellent location for both in-town and out-of-town guests. 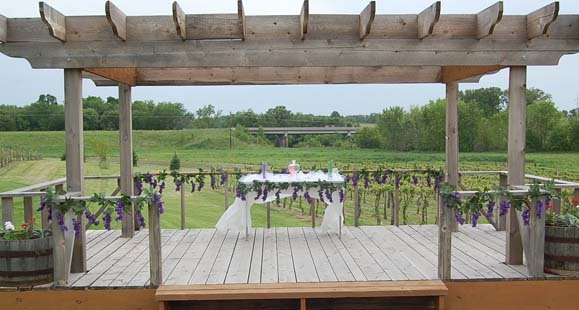 Outdoor Wedding Venue & Gazebo: Cedar Valley Winery offers a beautiful outdoor wedding area. The grounds are maintained with your wedding needs in mind, and the photographic opportunities are endless. Driving up to the winery, your guests will have the feeling of leaving the city and entering a country estate vineyard. Our hand crafted gazebo was designed with wedding ceremonies in mind and is situated in the most picturesque area of the vineyard. 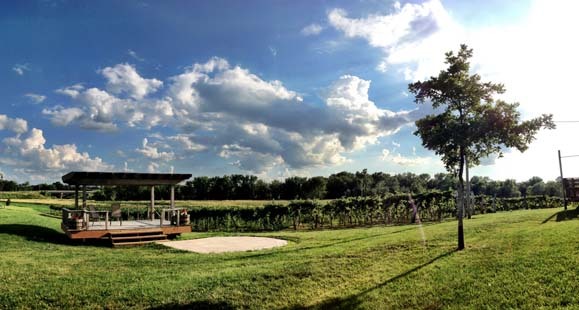 Overlooking the south side of the vineyard, early evening weddings under the gazebo are framed by the setting sun. Winery Staff: Our staff will work with the bridge and groom or your wedding planner as needed. We will lead you on a tour of our facility to highlight wedding and reception options, review policies and assist you in reserving your date. Our staff will be available to you to answer any questions you may have regarding your event. Wedding and Reception: Our staff will meet with you or your wedding planner a few weeks prior to your event and will assist in coordinating your rehearsal, wedding and reception to ensure your wedding and rehearsal is conducted to meet your needs. CATERING SERVICES: At this time, Cedar Valley Winery does not offer in-house catering services. Our facility offers limited kitchen accommodations for your caterer if needed, ask for details. How do I go about reserving your facility for a wedding and/or reception? The venue fee for each reserved venue becomes your “Deposit.” Before a date can be held or reserved, a partial or full, non-refundable deposit must be paid and an agreement signed by the bride, groom, or guarantor as well as an agent of Cedar Valley Winery. Click here to review a copy of our wedding contract. What does the wedding venue fee include? The wedding venue fee includes the use of the gazebo for a one hour wedding rehearsal and up to one hour for your wedding ceremony. You may also purchase additional time. For an additional fee ($1.00 per chair), we offer white, plastic outdoor chairs (up to 100). When can we arrive for our event? For event preparation purposes the bride, groom and anyone assisting the bride and groom, including independent contractor(s), may start event preparations and decorations six hours prior to your scheduled event. If you require different accommodations, please let us know. Do you offer shuttle services for events? Yes, Cedar Valley Winery offers shuttle services for rent to and from local hotels in Fairfield and Ottumwa for events at the winery. Our shuttle seats 20-22 guests and can make multiple trips. Ask for details. If our ceremony is taking place at Cedar Valley, when can we rehearse? 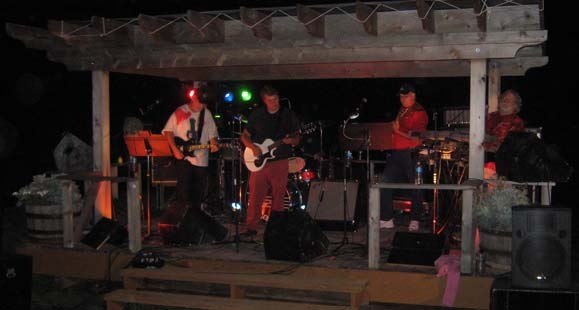 Due to other events that may be scheduled at Cedar Valley Winery on the same weekend as your event, rehearsals typically take place on the Thursday or Friday evening prior to your event. Our staff will assist you with scheduling your rehearsal or rehearsal dinner. Do you have dressing facilities and if so, when are they available for our use? Cedar Valley Winery has separate dressing rooms for both the bride and groom. It is available for your use up to six hours prior to your ceremony and to do last minute touch ups. Most couples rent a wedding tent and place it in the middle of the vineyard. Our staff can assist you in determining where to hold your ceremony and reception on the grounds and can show you pictures of recent events so you can visualize your event. Cedar Valley Winery plans to build an indoor event facility in the near future. Contact our staff for details. Do you have minimum guest requirements? No, Cedar Valley Winery does not require a minimum number of guests. 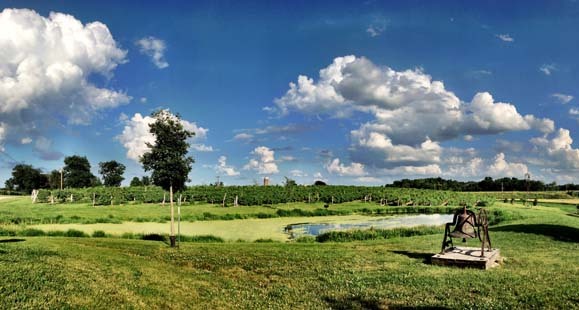 What is the maximum number of guests Cedar Valley Winery can accommodate?Subject to the bride and groom’s preferences, and whether the couple chooses to rent a tent, Cedar Valley Winery’s facilities can accommodate up to 300 people. When is my final guest count due? Cedar Valley Winery does request a final guest count at least 14 days prior to your scheduled event. Can I purchase extra reception time if I would like to extend my event? Yes, we would be happy to let you purchase extra wedding or reception time in half-hour increments. Can you serve Cedar Valley wine at my event? 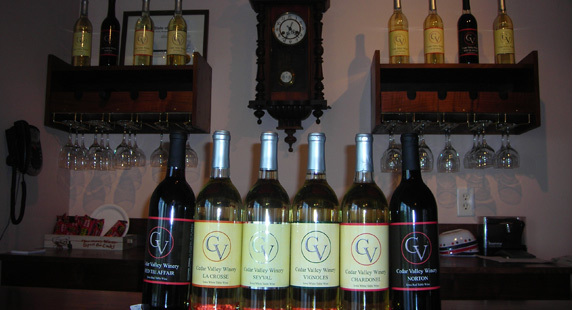 Yes, we proudly serve Cedar Valley wine at all weddings and events at the winery. We also offer Wine-A-Ritas, Sangria, beer, soda and water upon request and depending on your preferences. We can also coordinate with other local Iowa breweries upon request. Our staff will assist you in navigating your options. All beverages and alcohol at your event must be purchased through Cedar Valley Winery. Does Cedar Valley Winery have on-site parking? Yes, guest parking is available on the east side of the vineyard. Does Cedar Valley Winery have its own staff? <Yes, all of our staff are trained by Cedar Valley Winery and many have been with us for many years. We do not use staffing agencies. Is Cedar Valley Winery handicapped accessible? 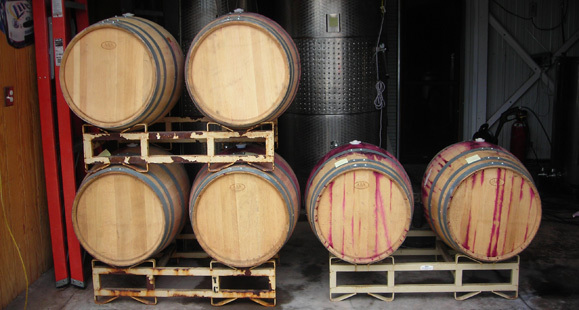 Cedar Valley Winery prides itself on being accessible to all individuals. Our facilities are equipped with handicapped access. Cedar Valley Winery went above and beyond for my wedding! The entire staff was amazing. Heather did such an amazing job leading up to the event and helping us prepare for everything! On the day of the wedding, I did not have to worry about one thing. The staff took care of EVERYTHING! The venue was stunning, the flow was great, and the reception was a BLAST! I could not be happier with our decision to have our wedding at CVW! I would honestly recommend them to ANY bride/groom in a heartbeat. They were just amazing!!! We had an amazing time at our wedding and reception at Cedar Valley Winery! The staff was extremely helpful during the planning process! Penny always promptly answered our emails and phone calls! She helped make both the rehearsal and the day of the wedding run smoothly! All of the staff that worked the day of the wedding were very professional and helpful! Our guests also LOVED the venue! It is absolutely gorgeous, and spending the day of the wedding there was amazing! We had our 44th Anniversary Party at Cedar Valley Winery. Our goal was to find something unique that would ensure a lasting memory for our family and friends. Cedar Valley Winery was the perfect venue for the anniversary party! The staff was very friendly and responsive and took care of every detail. They were organized and remembered everything we wanted. I highly recommend Cedar Valley Winery for any event!